We have 50 beers on tap! Craft breweries frequently brew new beers as well as provide extensive amounts of year-round and seasonal options. In an effort to provide our customers with the latest and in-season beer options, we rotate a large percentage of our taps. however, we do try to keep several beers on tap year round. In an effort to support local, we always pour at least 24 beers from breweries in the st. louis and surrounding areas. If there is a beer you love and we don't have it, let us know. We are always open to suggestions and will do our best to get your favorite beers on tap! depending on the style, ABV and/or cost, your beers will be poured at 8oz, 12oz or 16oz. 64oz Tap haus growlers available for purchase (no on-premise consumption). Purchase one of our branded growlers and receive 10% off refills. or bring in your own (clean) growler to have filled at regular price. For those of you who are not beer lovers (yet), we carry over 50 bourbons, as well as a variety of vodka, scotch, rum, tequila and wine. a select variety of domestic beers are available in bottles. we invite you to enjoy our food and beer pairing special every friday at 5pm-sunday at 8pm. every week, our kitchen creates a delicious dish outside of our regular menu and pairs it with a beer we have on tap. we hope you look forward to our pairings as much as we do! follow us on facebook, twitter and instagram for current/upcoming food and beer pairings. Trivia night every tuesday at 8pm! our buddy, Jim, hosts trivia every tuesday night at 8pm. Play by yourself or bring a team of however many you would like. its free to play and first and second place receives a prize. our trivia nights are casual, fun and laid-back! 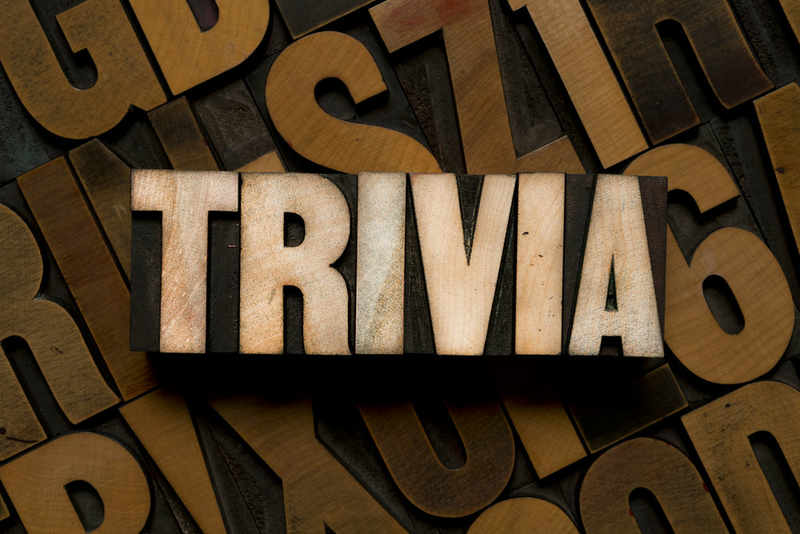 typically, trivia lasts 1 1/2-2 hours. Frequently, we host events such as beer schools, tap takeovers, brewery/brewer appearances, and holiday/festival related events. Follow us on Facebook and Twitter to stay up to date on these events! while we do not offer a menu specific to kids, we do offer some of their favorites on our main menu, such as chicken strips and french fries. we welcome families to join us for lunch or dinner! yes, we do take a limited amount of reservations for both small and large groups. if you have a large group coming to tap haus, please call Colleen at 314-255-3812 to set up your reservation. what if i don't like craft beer? in an effort to accommodate all of our customers, we do offer some domestic bottled beer, as well as over 50 bourbons and an array of vodka, rum, scotch, tequila, wine, and pepsi products. however, we encourage you to let your bartender or server help you find a beer you will like..... with 50 options, we are confident there is something for everybody! how many local craft beers do you keep on tap? we always have at least 24 local craft beers on tap! more often than not, our total is 30+. I see the oakville sports pub is right next door to you, and you share a patio. can i order from both restaurants? while the osp tap haus and oakville sports pub are owned by the same people, they are two separate businesses. if you are sitting on the patio, we can bring you food and beverages from both restaurants. however, you will have two separate tabs from two separate servers. 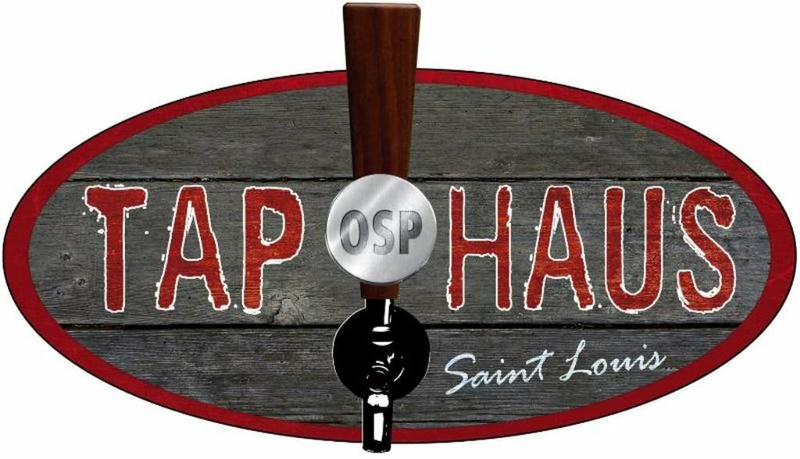 if you are seated inside osp tap haus we cannot serve you food and beverages from the sports pub when our kitchen is open. once our kitchen is closed, we welcome you to order take-out from the sports pub and bring it on over. 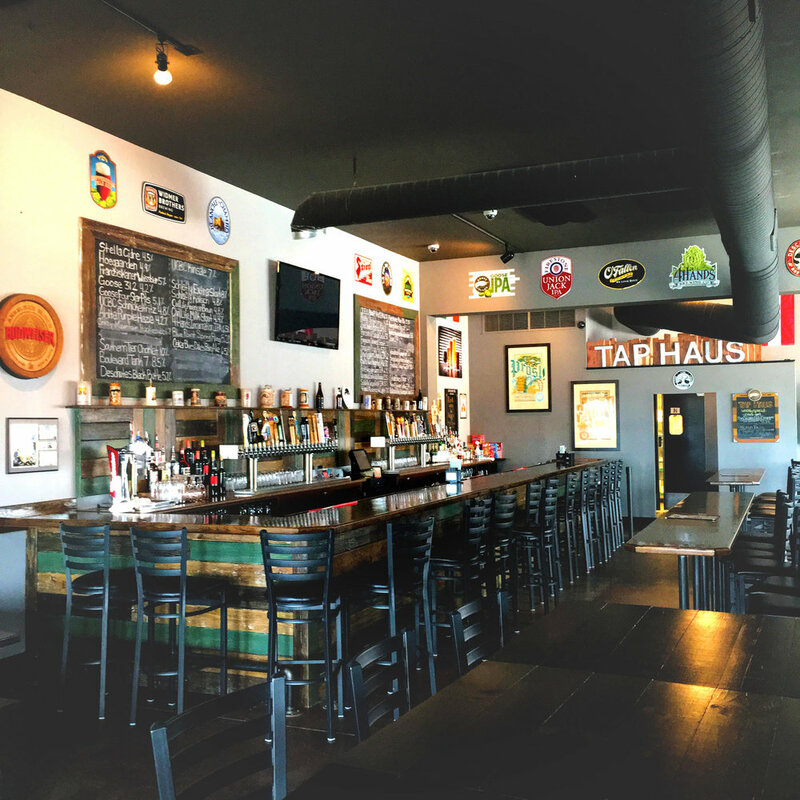 Follow us on twitter & facebook to stay up to date on what's happening here at tap haus! we like to keep things simple, so we stick to the "old-school" card and stamp method. 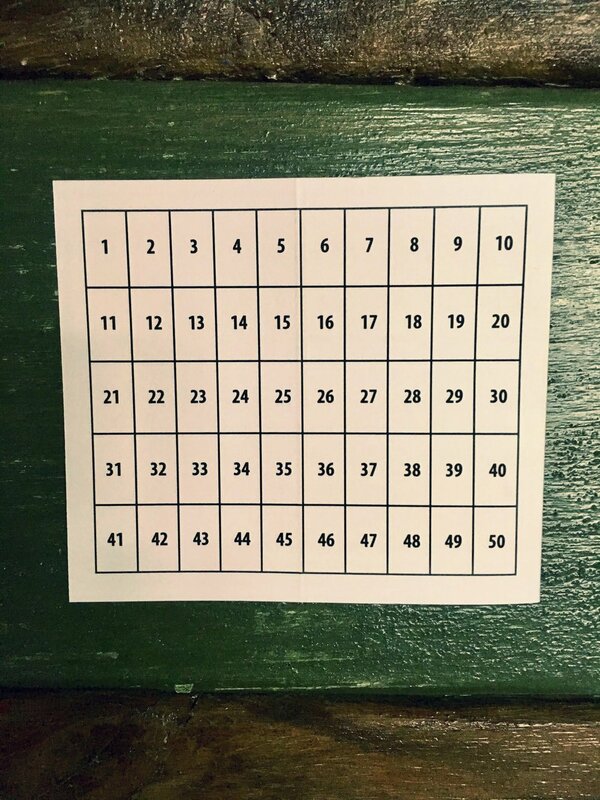 you will receive a beer card with fifty empty squares. we give you one stamp per full draft beer that you purchase (1 for every 2 budweiser). hand us your full card and you will receive an osp tap haus beer mug. you can bring your mug in to receive $1 off all of your beers during our discount hours.